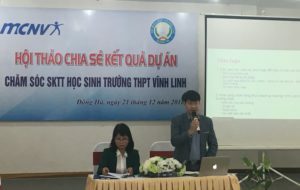 On the 28th of December 2018, a review workshop on the Nutrition Sensitive Agriculture (NSA) project in the 2017-2018 period took place in Dong Xuan district of Phu Yen province. The event was also an occasion to celebrate 10 years of cooperation between Dong Xuan district and MCNV (2008-2018). Attending this event were representatives of MCNV, the People’s Committee, Health Center, Department of Education & Training, and Department of Agriculture and Rural Development of Dong Xuan district, as well as the people’s committees of 6 communes involved in the project. At the workshop, MCNV and the local partners looked back on the progress of the NSA project, drew lessons learned and planned for the next phase of the project (2019-2020). 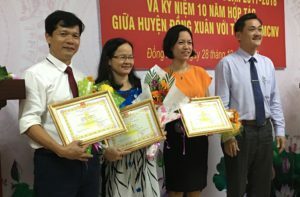 Also at the workshop, in recognition of the MCNV’s contributions to the development work in Dong Xuan for the past 10 years, the People’s Committee of Dong Xuan District awarded a certificate of merit from Phu Yen Provincial People’s Committee to MCNV Office in Central Vietnam and certificates of merit from Dong Xuan District People’s Committee to individual staff of MCNV Office in Central Vietnam, including Mr. Nguyen Dinh Dai (Chief of Office), Dr. Nguyen Thi Ngoc Lan (Program Coordinator) and Ms. Nguyen Thi Lan Phuong (Financial Manager). 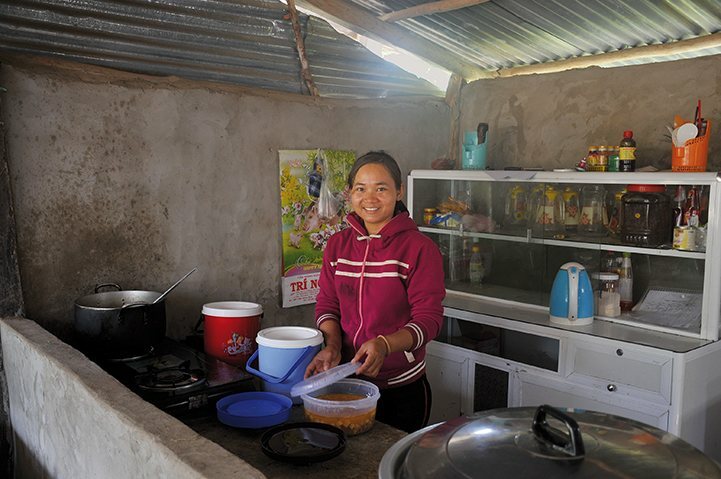 In the period of 2008-2016, MCNV cooperated with the local partners to have many interventions in Dong Xuan district, especially on malnutrition prevention for children under 5 years old. 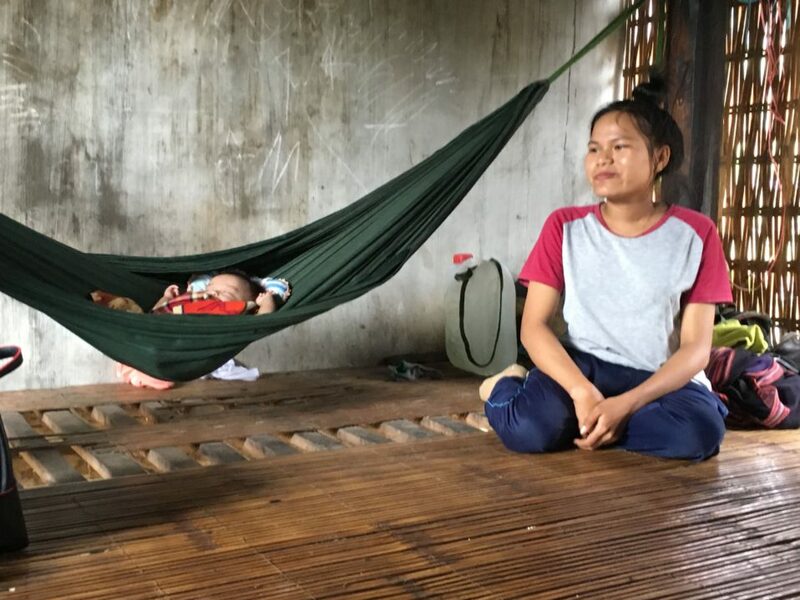 For the period of 2017-2020, through the NSA project MCNV continues to intervene and research to identify the experiences, knowledge and practicality of nutritionally sensitive interventions, so as to propose appropriate solutions to the upscaling of the NSA approach in remote ethnic minority communities in Phu Yen province, thereby contributing to improving food security and reducing the rate of malnourished children under 5. 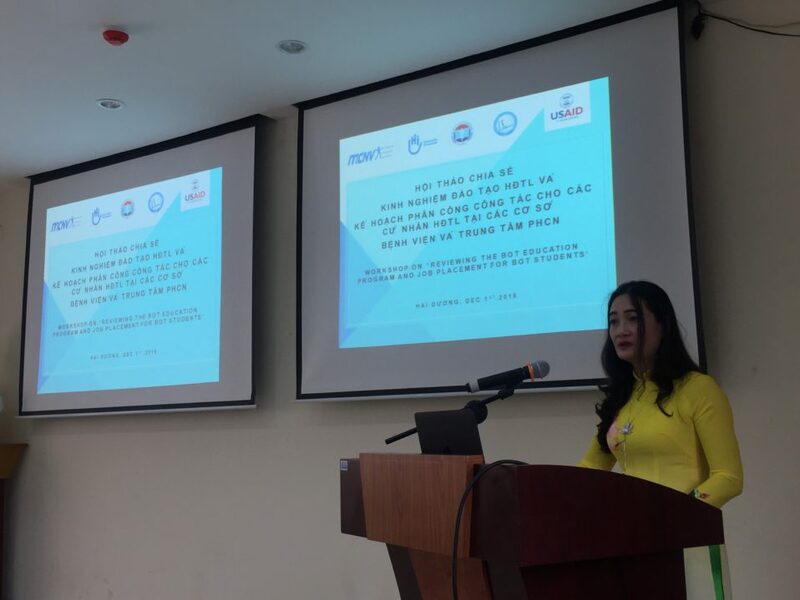 On December 21st 2018, an evaluation workshop on the School-based Mental Health Care Project took place at Huu Nghi Hotel in Dong Ha City, Quang Tri Province. 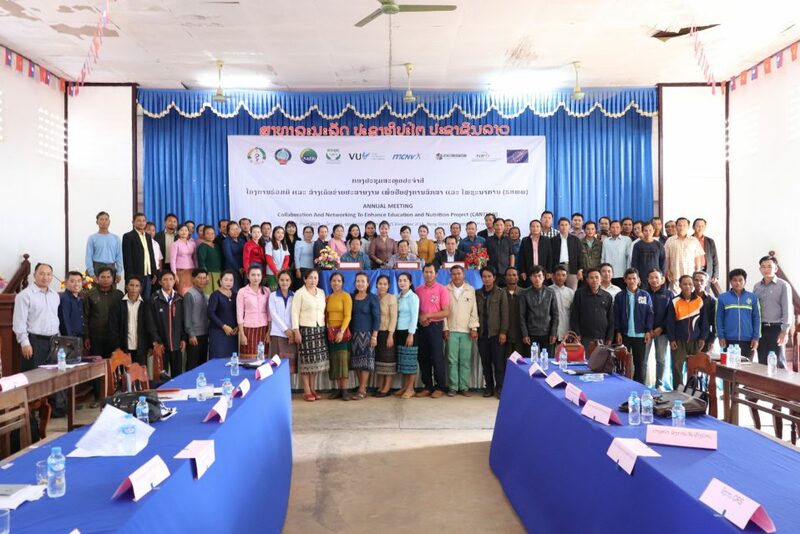 Representatives of MCNV, Provincial Department of Education and Training, Provincial Health Service, Preventive Health Center and nearly 30 high schools in the province attended the workshop. At the workshop, MCNV and the stakeholders reviewed the current situation of mental health (MH) among high school students, the interventions that MCNV and local partners have implemented in the project, remarkable results and proposed directions in the coming time. 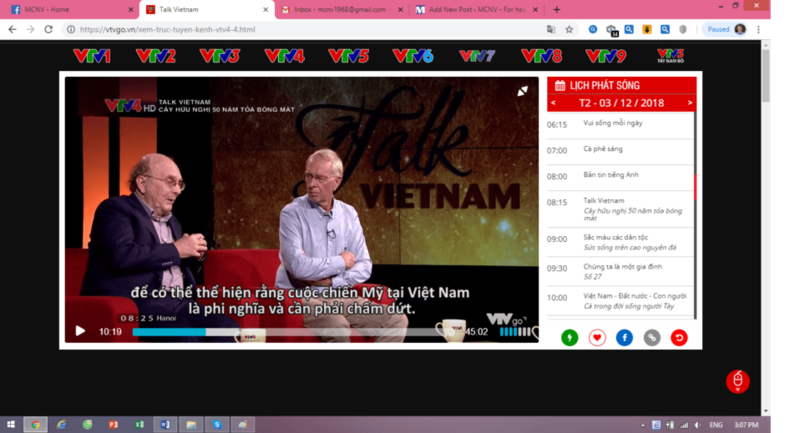 The School-based Mental Health Care project has been piloted at Vinh Linh High School since May 5th 2017 with the aim of reducing the rate of students having, and being at risk of having, MH problems, building capacity in MH care for teachers, and improving knowledge, attitudes and behaviors of students and parents in MH care. 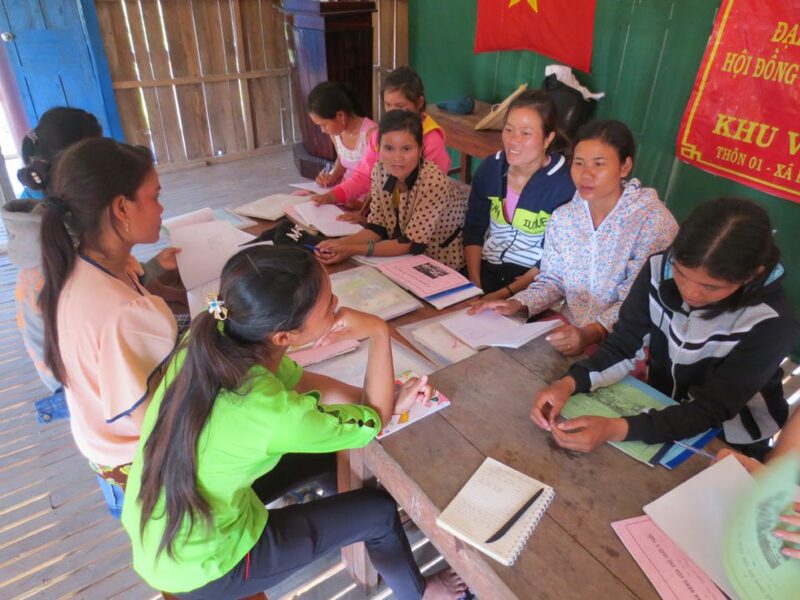 Before the project started, MCNV conducted a survey on the MH situation of high school students in Quang Tri province. The survey results showed that up to 11.8% of high school students had MH problems and 20.86% were at risk of having MH problems. 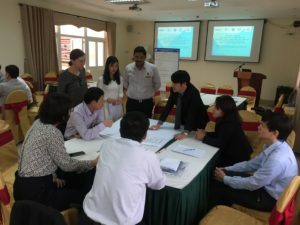 For 18 months of implementing the project, MCNV has collaborated with the Department of Education and Training of Quang Tri Province and Vinh Linh High School to implement various activities, including establishing a MH care counseling team at the school, training to improve knowledge and skills in MH for the counseling team, sharing these knowledge and skills with other teachers in the school, using the SDQ25 tool (of the World Health Organization) to survey and monitor the students’ MH status, counseling for students having MH problems, organizing MH communication activities, and promoting information sharing and interactions about students’ MH issues via Facebook. 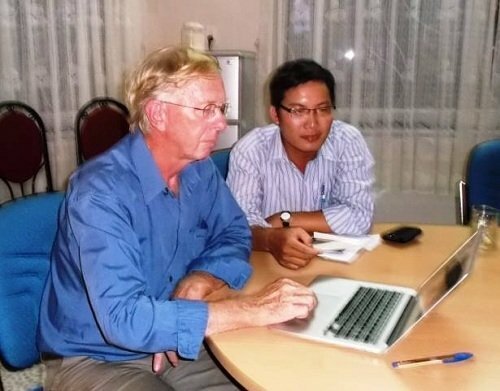 In the implementation process, some activities were technically assisted by Da Nang Psychiatric Hospital. 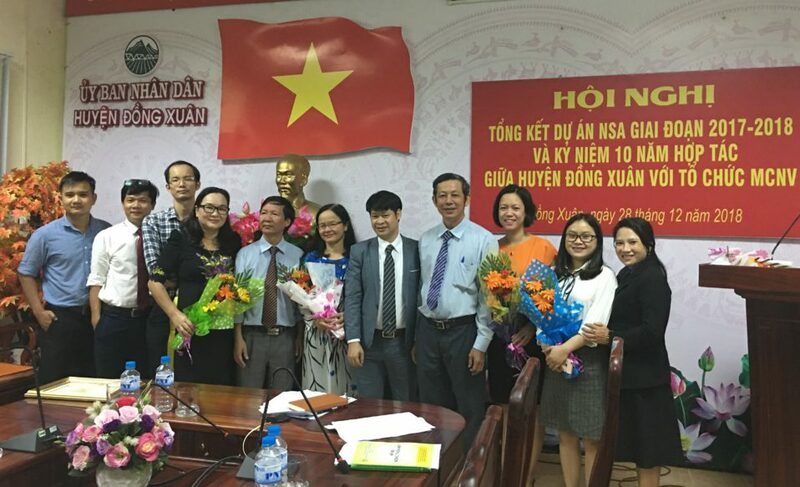 The activities mentioned above have contributed to helping the teachers of Vinh Linh High School and the counseling team have basic knowledge and skills in detecting and intervening with students having MH problems, and at the same time changing the perception, attitudes and behaviors of teachers, students and parents about MH care. The comparison of the survey results at the beginning and at the end of the project has showed that the percentage of students with MH problems has decreased to 4.97% (compared to 9.32% before intervention) and the percentage of students at risk of having MH problems has decreased to 12.88% (compared with 17.74% before intervention). 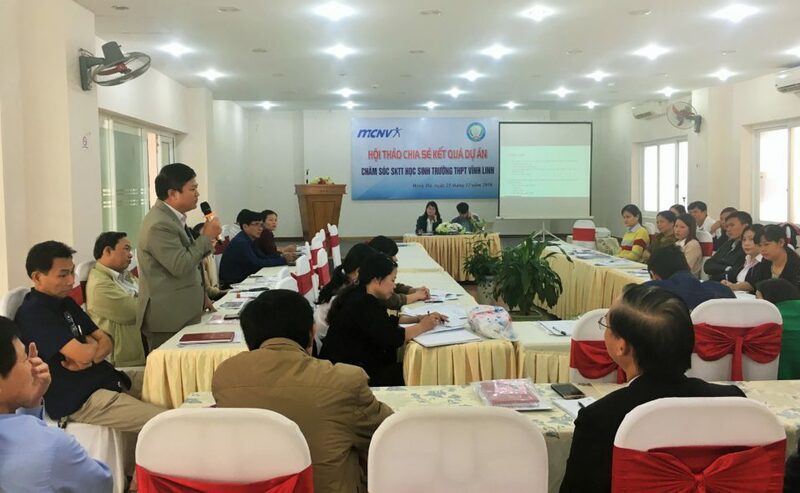 With the positive results of this pilot project, the Department of Education and Training of Quang Tri Province and the high schools have proposed MCNV to replicate the project model to other high schools in the province. MCNV will try to mobilize funding in the coming time to meet this expectation. 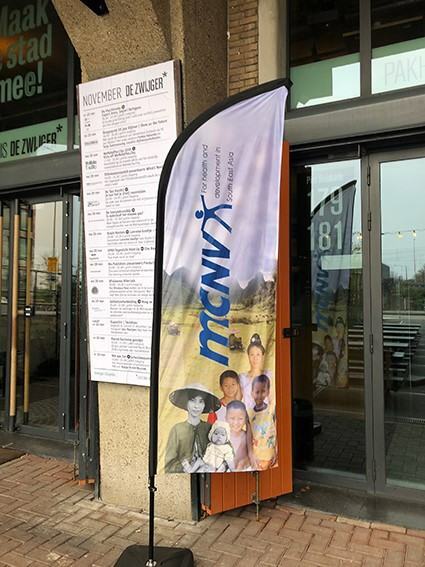 Some 175 guests attended the 50th anniversary of MCNV in Amsterdam. Donors from the very first days of MCNV, Mr. Pham Toan Thang and Mr. Nguyen Hai Tinh from the Embassy of Vietnam, staff from Vietnam, Lao PDR and Amsterdam, Supervisory Board members, ex-staff, ex-board members, Ms Mette Gonggrijp from the Dutch Ministery of Foreign Affairs, project partners and friends joined in the celebration in Pakhuis de Zwijger in Amsterdam. 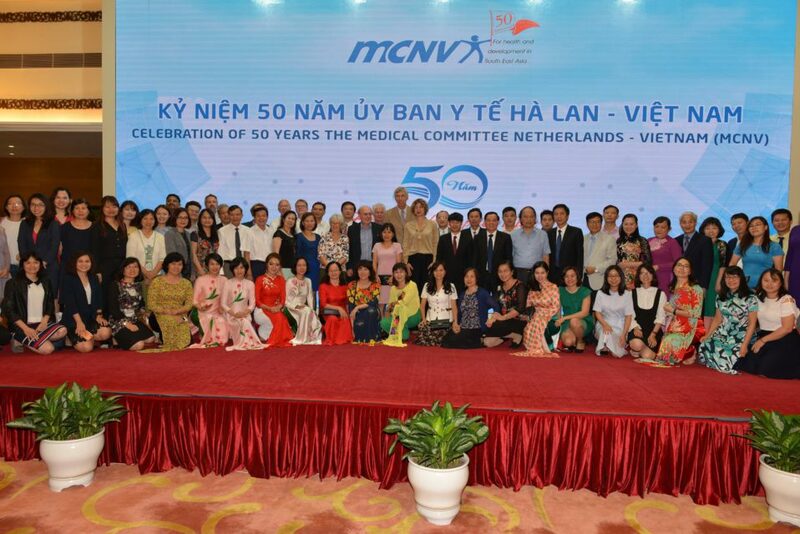 Founded in Amsterdam in November 1968 as one of many Dutch solidarity movements, MCNV managed to change with the times, turn into an international NGO and remain relevant to the Dutch-Vietnamese relations and cooperations and of importance for the Vietnamese and Laotian people. Read more for a link to the livestream.